Alan comes to us from California, having just moved to New York City. Alan was champion of the prestigious Denker tournament of High School champions, in 1991. 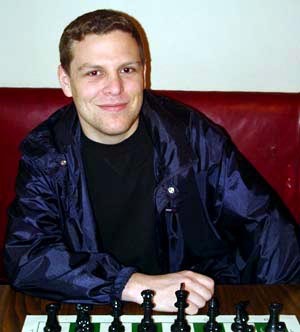 In this tournament he competed with other NY Masters participants such as Lew Eisen and Greg Shahade. (only 1700 and in 7th grade at the time). Alan prefers to play e4 openings and plays the Sicilian defense. He is capable of doing well against strong players as he already has a win over Stripunsky and a draw against Novikov (with the black pieces) under his belt.